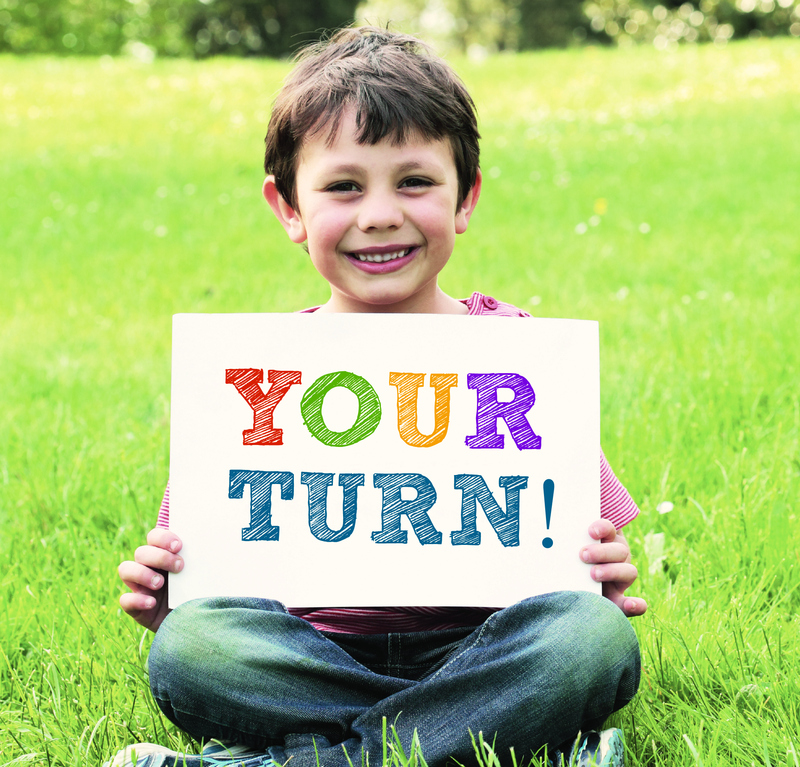 It’s time for another YOUR TURN post, where we put up a “quote for thought” and ask you to share your best tips and expertise with our readers. Add your comment, and you’re automatically entered for a chance to win the book quoted below! 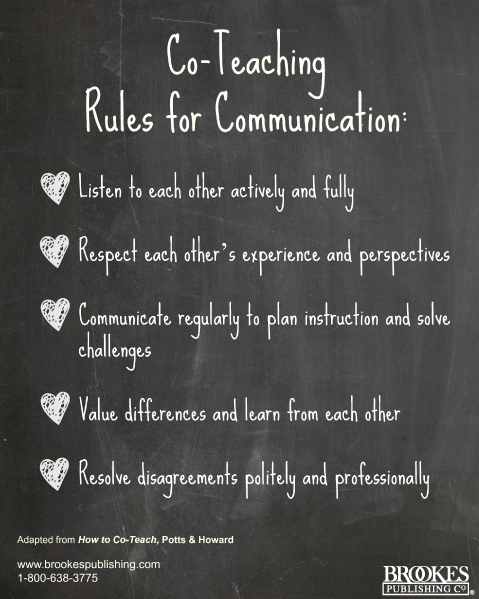 Consistent, respectful, and effective communication is the cornerstone of successful co-teaching partnerships. 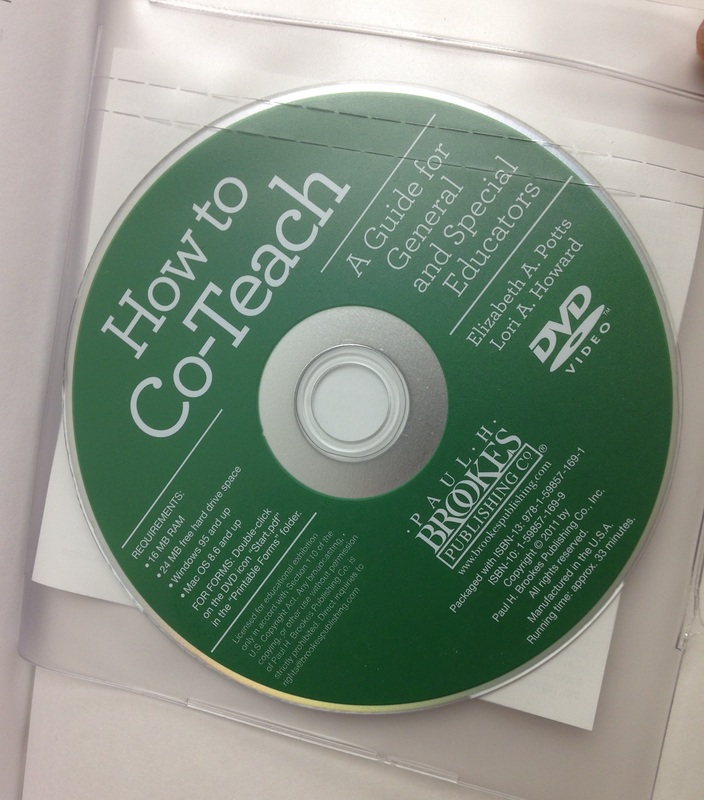 Co-teachers: What’s your #1 rule for effective communication with your teaching partner? What would you add to the list above? Is there a specific strategy you’ve tried that helped you follow one or more of these guidelines? Add your comment for a chance to win this book! Tons of tools: checklists, tips, assessments, lesson plan organizers, etc. Plus a DVD with clips of real co-teachers talking about what works! Reflect with fellow coworkers and discuss ways to improve teaching skills on a daily basis. Thanks for commenting, Debra! Yes–regularly setting aside time for reflection is key. 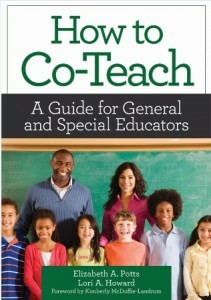 The teachers need to agree in their responsibilities and roles for co-teaching to work. I found that weekly planning time together was a great help! Absolutely, Lorena–division of responsibilities is always a tricky thing, and meeting weekly to plan is a great idea. Thanks for commenting! Co teaching can be so much fun and it can be very rewarding as long as you go into the whole process with realistic expectations about exactly what each person’s roles and responsibilities are going to be. Thank you, Gloria! Agreed–having an honest discussion up front about roles and responsibilities is extremely important. Communication on all levels is the most important factor. You need to realize that the person you are co teaching with may not always be your best friend, but a professional relationship is always possible. 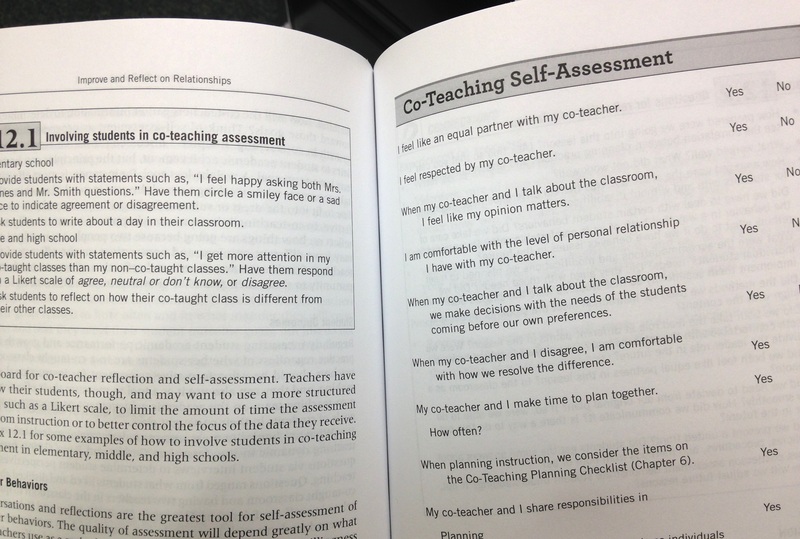 Yes, important to acknowledge that a close personal friendship isn’t vital to a strong co-teaching partnership. Thank you for your comment, Elizabeth! My co-teachers and I try to debrief at the end of each class so we know what worked and what didn’t and so we know what direction we need to take for the next day. Sounds like a great strategy, Nancy. Thank you for commenting! We make it a practice to pick one student each week to look at more closely and see how we can better serve him as co teachers. That’s a great idea, Jerry–hadn’t heard that strategy before! Thank you for commenting.